Public Assistance (PA) provides grants to state and local governments and certain types of private non-profit (PNP) organizations so that communities can respond to and recover from presidentially-declared disasters. 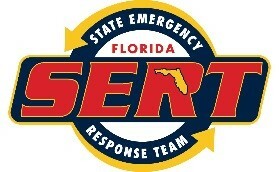 The program is funded by FEMA on a cost-share basis and administered by the Florida Division of Emergency Management. FEMA provides supplemental federal disaster grant assistance, 75 percent reimbursement of eligible costs for Emergency Work (debris removal and life-saving emergency protective measures) and Permanent Work (repair, replacement, or restoration of disaster-damaged publicly owned facilities and the facilities of certain non-profit organizations). Request for Public Assistance (RPA) by submitting your completed RPA forms to www.floridapa.org/site/rpasubmission.cfm. Contact Florida Division of Emergency Management Public Assistance at www.floridapa.org or by calling (805) 815-4400 with questions on submission. For all PNPs that provide non-critical services, including houses of worship, FEMA may provide Public Assistance funding for eligible permanent work costs only if an SBA disaster loan does not cover them. Like all non-critical PNP facilities under the law, a house of worship must apply to the SBA for a low-interest disaster loan for permanent repair work. Visit the SBA website at disasterloan.sba.gov/ela/ or contact the SBA Disaster Customer Service Center at (800) 659-2955 or visit your local DRC by searching at FEMA.gov/DRC.to process your application. FEMA will provide financial assistance only if the applicant is denied an SBA loan – or if the loan authorized is insufficient to cover repair costs.